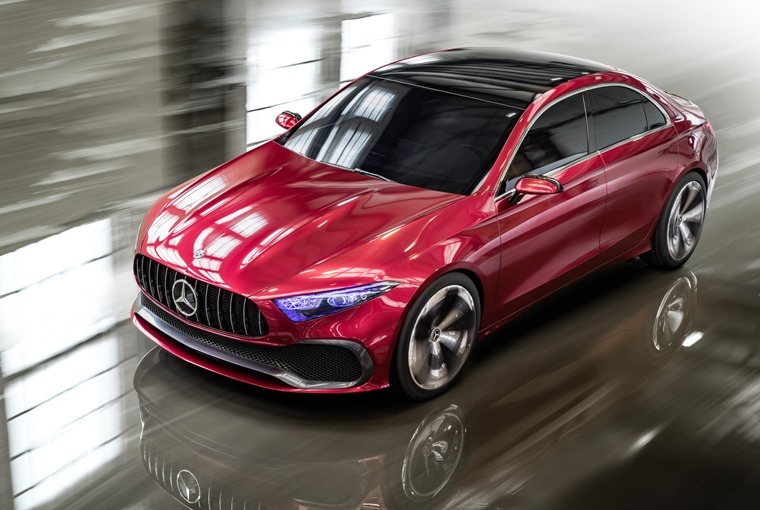 Mercedes-Benz will provide a glimpse at the next generation of compact vehicles and a potential new body type with the reveal of its Concept A Sedan at Auto Shanghai. 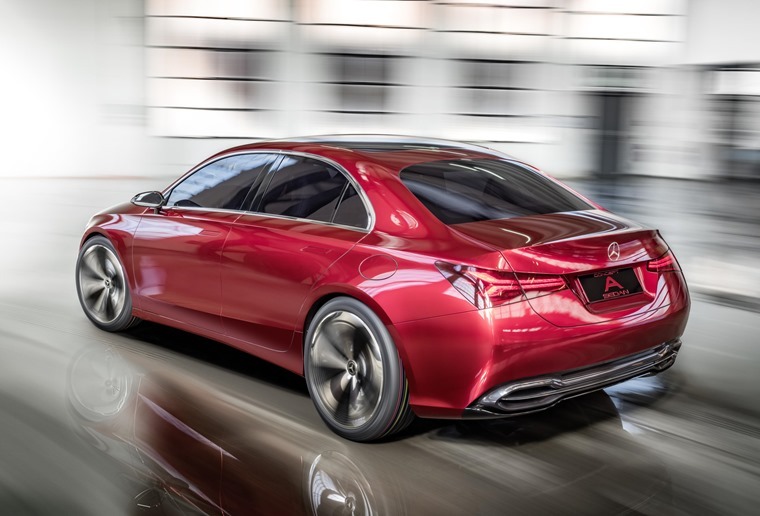 Heralding a new generation, the Concept A Sedan specifies the evolved Mercedes-Benz design language featuring reduced lines and flat surfaces. 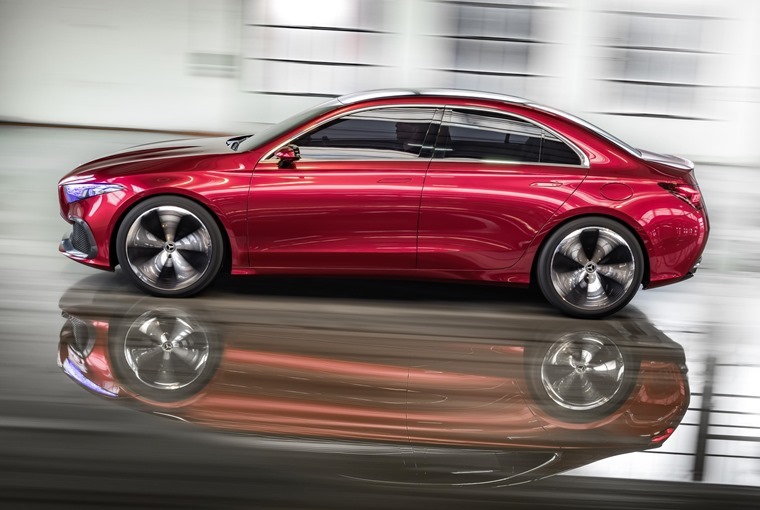 "Our Concept A Sedan shows, that the time of creases is over”, say Gorden Wagener, chief design officer Daimler AG. “With its perfect proportions and reduced lines, it has the potential to introduce a new design era." 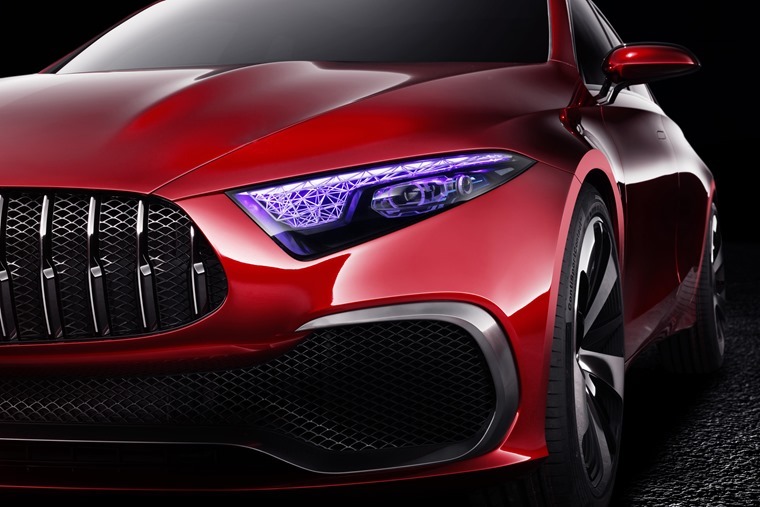 The Concept A Sedan has been designed with the proportions of a dynamic, coupe-like and simultaneously compact, premium sedan. This aim is emphasized by the traditional three-box design featuring short overhangs, especially at the rear, as well as the slim greenhouse that has been offset towards the rear. Additional sedan characteristics are the relatively vertical C-pillar, larger side windows and the higher beltline. The wheel arch design featuring a reduced arch dimension emphasises the exclusive 20-inch wheels. The light alloy wheels radiate technical precision with their sporty aerowheel look featuring a structured surface between the spokes. The door handles of the show car are flush with the body, while the outside mirrors, in a contemporary reinterpretation, stand proud of the beltlines. The striking front is highlighted by the deep Panamericana grille tilted towards the front, featuring vertical chrome inserts and a star in the centre, as well as the stretched bonnet with Powerdomes. The large, lower air inlet featuring a diamond grid structure and a striking trim strip in dark chrome is also amongst the most eye-catching features. The headlamps as well as the striking grid structure on the inside guarantee a confident look – and a simultaneously high recognition value. The structural sculpture that has been broken down in detail represents a technically based counterpole to the exterior – "stimulating contrast" is one of the six guiding principles of Mercedes-Benz design. The grid structure in the lamps has been coated with a UV paint and it is exposed to ultraviolet light. As a result, the headlamps ‘glow’ in different colours, depending on the light medium – the daytime running lamps, for instance, are white. This unusual lighting technology is also used at the rear and in line with the evolved design philosophy the lines and gaps at the rear have been reduced. As a contrast to the paintwork the rear bumper features a diffuser-look lower part trimmed in black and a chrome trim strip that emphasises the width and underlines the cars premium appeal. Additional features of the roadworthy show car are dark privacy windows all-round as well as a large, panoramic glass roof. The Concept A will be available to view at Auto Shanghai between 20 – 27 April.